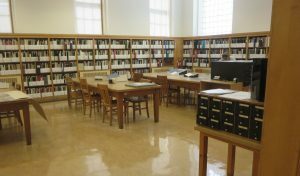 This post is the product of several conversations and a more formal Q&A email exchange between two staff members at the Provincial Archives of New Brunswick (PANB) in Fredericton: Rose Morton is a Reference Archivist, and Sarah Glassford is a summer intern with a background in History. We draw no broad conclusions, but hope to spark further conversations about the role of archives in preserving and making accessible the history of Canada’s First World War. When researchers want to investigate aspects of Canada’s First World War, they often think first of Library and Archives Canada, in Ottawa, because of the federal government’s role directing many aspects of the war effort, and the national significance of the conflict. And of course there is a lot of great material there for them to find. 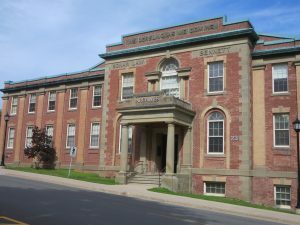 But here we are at the Provincial Archives of New Brunswick, surrounded by material documenting the history and people of this province – presumably that includes First World War items, too. What sorts of Great War-related materials might researchers find if they looked through our collections? In my experience, researchers who visit us tend to look at our private sector records. That might be collections that include wartime diaries or personal correspondence, both of which can be great sources of information. Photographs and local newspapers from the time are also very popular for historians tracing the progress of the war, specific events, or individuals. For example, newspapers might include casualty lists, obituaries, stories about local enlisted men, and so on. New Brunswickers’ military attestation papers and war-related articles from New Brunswick newspapers are searchable on our website through the ongoing New Brunswick Great War Project. Those sorts of records can definitely help bring to life the names on an honour roll of men who served, and put them in a broader community context. As a researcher, I have also used the records of organizations like the Women’s Institutes, the IODE, and the Canadian Red Cross, as ways to find out how non-combatants, local communities, and particularly women and children, participated in the war effort. Do we have any government records that would be relevant to First World War researchers? Yes, researchers building biographical sketches of individuals or families often rely heavily on official government records such as vital statistics documents (births, deaths, marriages) and registry office records. That makes sense. Those sorts of documents help add detail to the trajectories of individual lives. Given that we’re in the midst of the centenary of the First World War, have you noticed any increase in the number of researchers studying the conflict? Yes, the Great War has been quite a popular topic in the last few years, as important one-hundredth anniversaries occur. I know one initiative that has captured a certain amount of local media interest is the George Street Middle School soldier biography project. What is that and how is PANB involved? It is this great project spearheaded and still led by teacher James Rowinski at George Street Middle School in Fredericton. Brent Wilson at the University of New Brunswick’s Gregg Centre for the Study of War and Society has also been a collaborator. Students at George Street Middle School each choose a soldier of the Great War from the Fredericton cenotaph to research and write a report on. Each class is brought to PANB for a session to do research and to experience what historical research involves. Since the school is composed of Grades 6-8, that sounds like an excellent opportunity to expose younger students to history, and to archives, in a meaningful way. What roles do you and other PANB staff play, when the students come to the archives? Their time here is limited, and part of what we want to do is show the students how interesting historical research can be, so we often do some work ahead of time to make sure they don’t experience too many dead ends. That helps maximize the thrill that comes with a successful search. A big part of our role is to make sure that the students’ visits to the archives are positive experiences… that they come away knowing what a valuable and accessible resource archives can be. Hopefully what is likely their first experience with archives and archival research opens doors for them to continue to be interested in investigating our history, and they will know where to come with their questions. We have to balance all of this while modeling objectivity and a structured approach to research. What sorts of materials might they use while they’re here? We use multiple sources and formats, making sure to introduce different techniques and strategies. This works well in two ways: it introduces students to these methods, but also ensures that there is something to interest just about everyone. Some students might be thrilled to go through old newspapers on microfilm in small groups while others might be more interested in quietly reading through textual material, for example. As a researcher, I can’t ever recall seeing children using the archives. Do you find the students require different kinds of help than adult researchers? The students are in middle school, not young children, so it’s not very different from assisting most other researchers. Just like everyone else, some students have done more work ahead of time than others, some are more impatient for results than others, and each of them will have different expectations of their role and ours. And how do you find the students respond to the project, or to the archives more broadly? The majority of students we see really begin to get interested, even excited, once we’ve started digging into the material a little bit. There is so much material here, in so many formats… once you find the thing that interests a particular student you can really tell that they begin to get into it. That sounds like adult researchers, too. Apparently age has little bearing on the archival research experience. Once the students have created their soldier biographies, what happens to them? Do they come back to the archives in any form? They do. PANB has designed an online exhibit to host the finished product: Soldiers of the Great War; The Fredericton Soldier Biography History Initiative. It has already been a valuable resource for many other researchers. So the collaboration goes both ways between the archives and the student researchers. That’s neat. And there’s a long-term legacy for the work the students have done. Interestingly, hosting the online exhibit also gives the archives a commemorative role, rather than simply one of preserving and providing access to information. What do you see as the role of archives (in general), when it comes to teaching and learning about events like the Great War? Do archives have particular strengths to offer, in this regard? I think the archives’ main role is to present the primary material as-is. That includes helping students or researchers find the primary material and decode it (literally, as in reading script handwriting or explaining military acronyms), but letting them put the pieces together. Archives staff are always invaluable when it comes to finding relevant material and ensuring thoroughness when it comes to any topic. These are the people who work with the archives’ holdings every day, so connecting with them is the key to ensuring thorough research. The centenary of the First World War, combined with new digital technologies, has meant that in recent years a huge amount of material about Canada and the Great War has been digitized and made freely accessible online. Library & Archives Canada’s Canadian Expeditionary Force soldier service files, The Rooms’ Newfoundland Military Service Files, and the documents put online through the Canadian Letters and Images Project are three good examples. Do you think these sorts of initiatives make physical archival holdings any more or less important? It makes physical archival holdings more important. If students have fewer and fewer opportunities to examine, to touch, to really experience primary material, than the experiences they do have can have a great impact. When we physically hold a piece of correspondence with many postage marks, and see that it took weeks (or months!) to reach its destination, it really deepens our understanding of the experience of the person who wrote it. The physical reality of it adds weight to the descriptions of being lonely at Christmastime, of missing loved ones, of how foreign and weird some of their experiences were. These experiences might be harder and harder to fully understand in the modern age, and so physical primary documents remain very important. 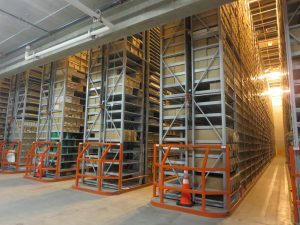 Since digitized documents made available online are accessible to people beyond the traditional users of physical archives, perhaps in time we will see new users coming to the archives in order to get the kind of hands-on access you’re referring to, or to dig more deeply into the stories hinted at by digitized records. Because you’re absolutely right: there’s nothing like holding a piece of the past in your hands to make the events of 100 years ago seem intensely real. In light of that, and with my historian’s hat on, it feels appropriate to close this post by saying “thank you” to the collectors and packrats who held onto fragments of Canada’s First World War experiences, and especially to the past and present archivists and curators who have preserved those fragments and made them accessible to the rest of us. Rose Morton is a Reference Archivist at the Provincial Archives of New Brunswick. She has worked in libraries and archives since 1998. A passionate advocate of cultural literacy, she spent 9 years at the Calgary Public Library where she developed innovative literacy programs for children and families. Dr. Sarah Glassford has taught Canadian history at four Canadian universities, and is the author of Mobilizing Mercy: A History of the Canadian Red Cross (McGill-Queen’s University Press, 2017). She is presently an intern at the Provincial Archives of New Brunswick, completing the co-op component of her Masters of Library and Information Science degree from Western University. ActiveHistory.ca is featuring this post as part of “Canada’s First World War: A Centennial Series on ActiveHistory.ca”, a multi-year series of regular posts about the history and centennial of the First World War. We welcome new submissions. Contact Nathan Smith at: nsmith241@gmail.com.